Today 29th January 2017 marks the 80th anniversary of the ‘Voice of Ethiopia’. On this day in 1937 Dr Malaku E Bayen the special emissary to America of Emperor Haile Selassie, and his African American wife Dorothy, created a newspaper called ‘Voice of Ethiopia’ to simultaneously denounce Jim Crow in America, and the fascist invasion in Ethiopia. The ‘Voice of Ethiopia’, was to become known as the official media organ of the Ethiopian World Federation Incorporated. It is a pro African newspaper that urged the millions of sons and daughters of Ethiopia scattered throughout the world, to join hands with Ethiopia to save the country from the wolves of Europe. Its first anniversary was marked by a special cable via Western Union from Emperor Haile Selassie, who at that time resided in exile at Fairfield House in Bath. An extract from the ‘Voice of Ethiopia’, describes the first birthday celebration. 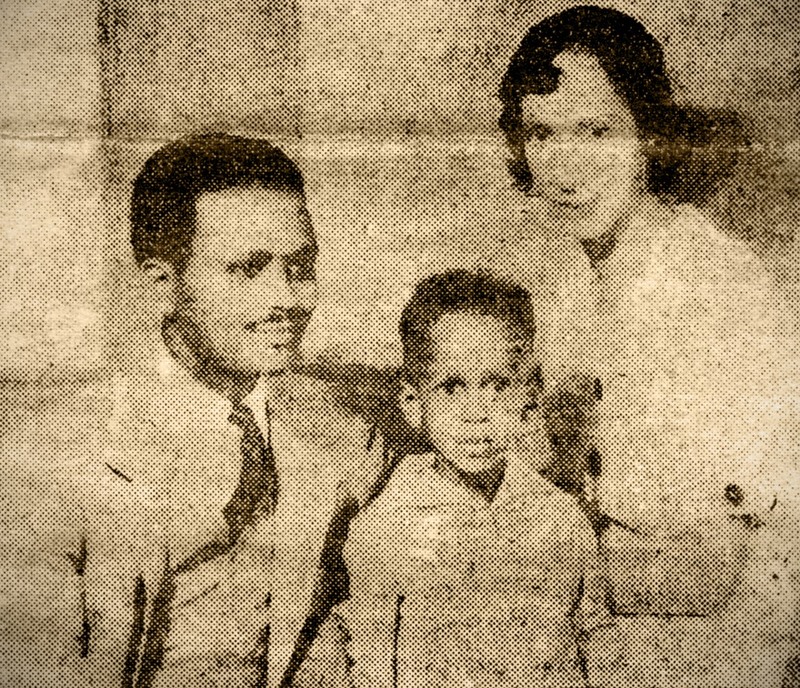 On Friday January 28th, 1938 the ‘Voice of Ethiopia’, celebrated the first anniversary of its birthday at the Dunbar Palace 149th Street and Seventh Avenue. Dr Lorenzo King who was to have been Master of Ceremonies for the evening, was absent for unavoidable reasons. Mr Matthew E Gardner presided in his behalf. Mr Gardner in welcoming the guests said: “Tonight in the name of the Voice of Ethiopia a militant newspaper, serving the cause of Black People everywhere, we bid you welcome to this celebration”. The first speaker to be introduced was Dr. Malaku E. Bayen, who gave in brief the progress of the Voice during the past year, emphasizing the hard work of its first editor, Dr. g. Balfour Bovell, who struggled with it in the first months of its infancy. Dr. Beyen continued to outline the growth in size and circulation of the paper, which now has on its staff writers as Mr Warren Harrigan and Matthew Gardner, Mr William Steen, Mr. Carlysle, Mr Codrington, Mr Phillips and others. From 2000 copies the Voice of Ethiopia now has a circulation of 10,000 per week, the Voice of Ethiopia a representation of Hope. Mr Gardener then introduced Attorney Vernal. J. Williams, who expressed his delight in being present at the anniversary of the Voice of Ethiopia. He said: “A newspaper is not merely a source of information or perhaps, as some newspapers are called, instruments of propaganda, a newspaper is a vital and living thing. The Voice of Ethiopia is a representation, of the hopes, the ideals, the ambitions, the purposes, the objectives, and the aims of all Ethiopians, those who are near an those who are far. Let us carry in our minds this thought, that your freedom and mine depends on ourselves. That as Black men we will never achieve a place in this world, we will never occupy a place in this race, until we have a government of our own, and a flag of our own, one that the entire world must respect. Let the world hear The Voice of Ethiopia”! Mr Warren Harrigan the next to speak, told of the injustices and the unfair treatment given to Ethiopia and urged black men everywhere to do something for Ethiopia.” It is the day of every black man and woman to give the best in us, that the black race might be free. Ethiopia first of all, for that is the acutest problem that confronts us today”. ” In the process of bringing important aid to Ethiopia. Such a unity will come about our people, so much strength will be developed that when that end is accomplished, there is a machinery made up of millions of black people, unified, dignified and strong that we will spell the freedom, the true freedom and dignity of the black race forever”. Dr John B. West was the next to speak. Dr West who has been to Ethiopia said, ” I have traveled through many parts of Europe, i have never in my life seen a country as full of natural beauty as this small country of Ethiopia”. ” I have sat here tonight and listened to people say that we can fight Ethiopia’s cause, no truer word has ever been spoken.There is one thing we must remember not to fight each other”. ” the only way we can help Ethiopia is for all the black people to do justice to each other, and join together in one concentrated attempt to regain for the blacks that which is for the independence, a country, a government and recognition by the world”. The next speech by the reverend Cannon Miller was an inspiring speech which bought mush applause. “It isn’t enough to be interested in Ethiopia you must fight for Ethiopia, and when i say fight for Ethiopia, i mean you must fight in deed and truth, fight intellectually, fight socially, fight politically you must fight in any way you can. There is room for all of us and there is work for all of us to do”. “The white mans propaganda has tended for us to look down on ourselves, to make us think that we are inferior people. Let us all remember we gave civilization to the world. If we go about with this idea that we are superior, that we gave civilization to white people, and that white people have no right to dictate to black people, we shall be free”. Professor Des Graves then spoke with his usual enthusiastic and inspiring manner and urged black men everywhere to rise in the defense of Ethiopia. “When we rise in defense of Ethiopia we are rising in our own behalf. We must and we can save Ethiopia. Let us raise our voices. Let the world hear us. When we rise together as one man, when we rise together as sons and daughters scattered throughout the world we can save Ethiopia for Ethiopians at home and abroad”. Attorney Lewis the arose and said “All men will respect us”. In a short speech he expressed his pleasure at being present. 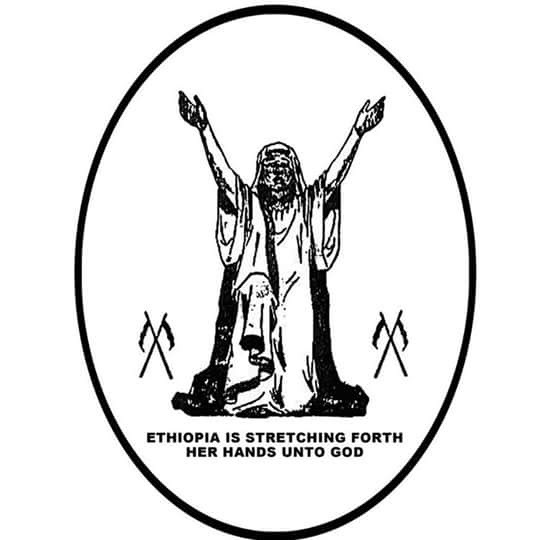 “Ethiopia is stretching out her hands in supplication, but she is stretching forth her hands with fists clenched and we intend to carry a two-fisted attack to the end, that all mankind will respect us”. Others who spoke briefly were Dr Cecil Marquez, Mr Lloyd Phillips, Mr W.E. Hibbert, the circulation manager of the Voice, and Dr Chester Holder who presented a very important resolution. The Philadelphia branch of the federation was represented by Mr I. Abraham, Mr Alphonso Bailey, and Mr George Thompson. The latter spoke briefly and inspiringly. 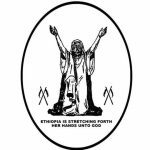 He expressed the determination of Philadelphia to work untiringly for the cause of Ethiopia, and spreading the Voice of Ethiopia. After the speech making the large and enthusiastic crowd was entertained by Ed Murray and his troupe, with a delightful floor show and music which kept the friends of the Voice of Ethiopia celebrating until the early hours of the morning.